Gallup 2012 election mea culpa: How the polling firm got the race so wrong. 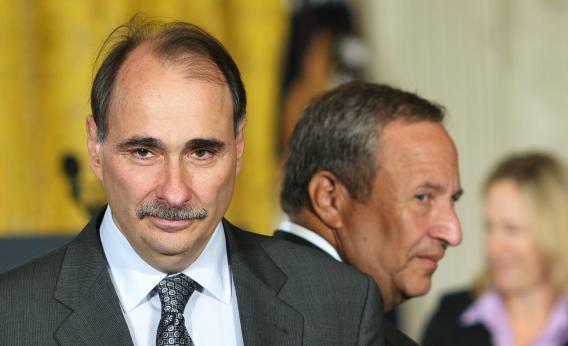 David Axelrod enjoys being right. It became a running joke near the end of last year’s presidential campaign that every day at 1 p.m. EST, Gallup would unveil its latest polling data showing Mitt Romney with an insurmountable lead over Barack Obama and Twitter would freak out. The Gallup poll was a key data point for conservatives looking for signs that, contrary to Nate Silver’s vaunted predictions, Romney would win, but also for journalists looking for an exciting narrative in what was ultimately a fairly static race. As calculated by Silver, Gallup tilted to Romney by an average of 7.2 points in the final three weeks of the election, making it the least reliable poll of 2012. Today Gallup is out with its official post-mortem of how it got things so wrong. It found that four areas most likely combined to result in the disparity between the polling firm’s final prediction of a 49-48 Romney popular vote win, and the actual result of a 51-47 Obama victory. Those four areas were as follows: how they weighted likely voters, underrepresentation of the East and West coasts in geographical controls, underrepresentation of nonwhite voters based on how Gallup determined ethnic backgrounds of survey respondents, and issues in how it contacted landlines that resulted in an “older and more Republican” survey sample. Gallup’s weighting of Southern states was questioned by liberal blogger Markos Moulitsas and discussed in this blog space at around the same time. And way back in June of last year, the Huffington Post’s Mark Blumenthal noted Gallup’s anti-Obama bias and postulated that it had something to do with how they measured the racial composition of the electorate. At the time of the fiercest criticism, Gallup editor-in-chief Frank Newport said that there was “no evidence” that his company’s likely voter models were off. Now he’s saying they’ll do better next time.